Over the past thirty years we’ve collected a lot of “stuff” related to The New Yorker (I’ve never been able to throw anything away). This section, which you can access by clicking on the blue link above, features some of the items we’ve hoarded. I’ll add more items as I run across them while meandering through the attic. Pictured below: a quartet of parody issues. This cardboard bullfighter’s hat pictured above was worn by the late great cartoonist Mischa Richter during the Arnold Newman photo shoot at Pier 59 Studios, New York, New York, September 16th, 1997. 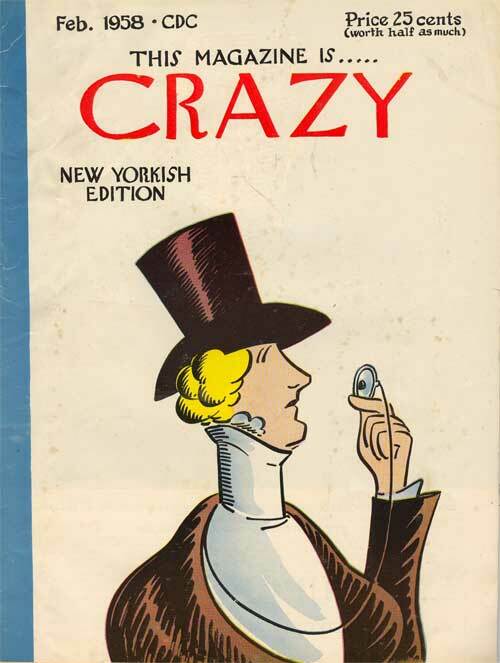 Most of the forty-one New Yorker cartoonists who gathered and posed that morning were asked to don whacky hats. The fold-out photograph that appeared in the magazine’s first Cartoon Issue ( Dec. 15th, 1997) was the final one taken. The Cartoonists were instructed to whoop it up, and toss their silly hats and confetti ( some of which is pictured above) into the air. Also shown is an invitation via (a now very faded) fax from Tina Brown to an “informal luncheon following the shoot.” ( Scroll way down for some casual photos taken at the luncheon ). Otto Soglow’s popular character had many lives. He appeared in The New Yorker, and in a syndicated newspaper strip, as well as in animated short films. 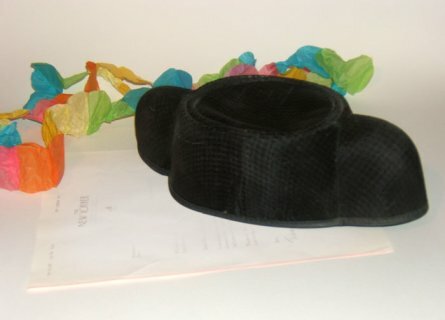 Pull string out of Little King’s hat. 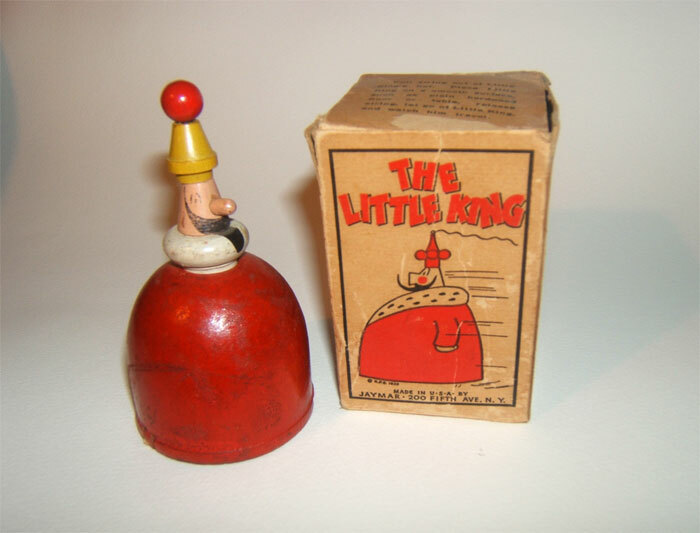 Place Little King on a smooth surface…release string, let go of Little King, and watch him travel. 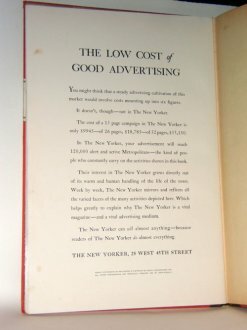 In 1934 The New Yorker produced this book to remind advertisers of the magazine’s ability to “reach 120,000 alert and active Metropolitans.” The book stands 18 1/4″ high and a foot and a quarter inch wide, with 52 pages of text and black-and-white photographs depicting New Yorkers (mostly) at play. The New Yorker has been parodied numerous times throughout its history. Snooze (not pictured) published in 1986 was a mainstream effort. 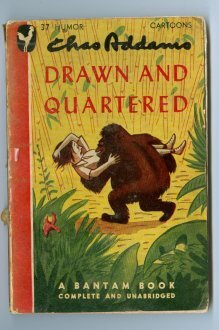 Here are some stand alone issues, one from the 1940s and the rest from the 1950s. 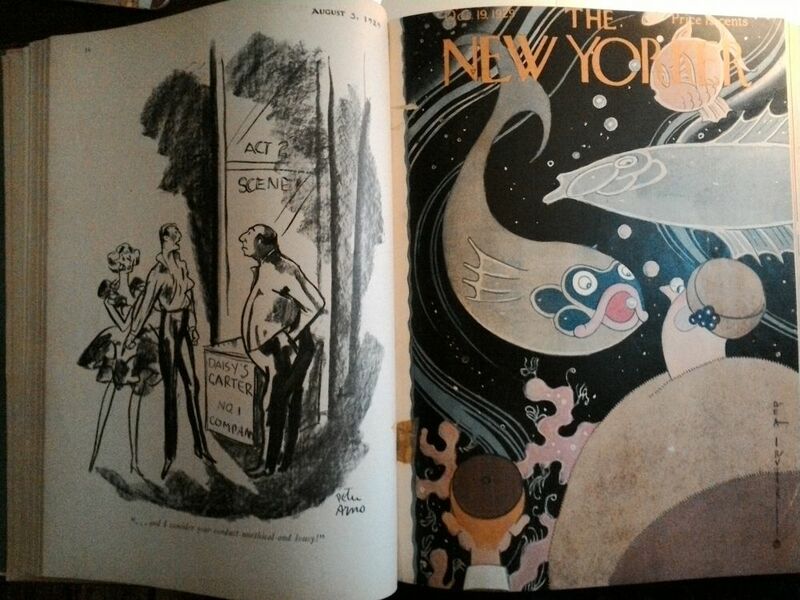 Above: The N*W Y*RK*R Produced by Punch, dated April 7th 1954. Eight pages. Published by Penn State Froth Inc. Dated March 1947. 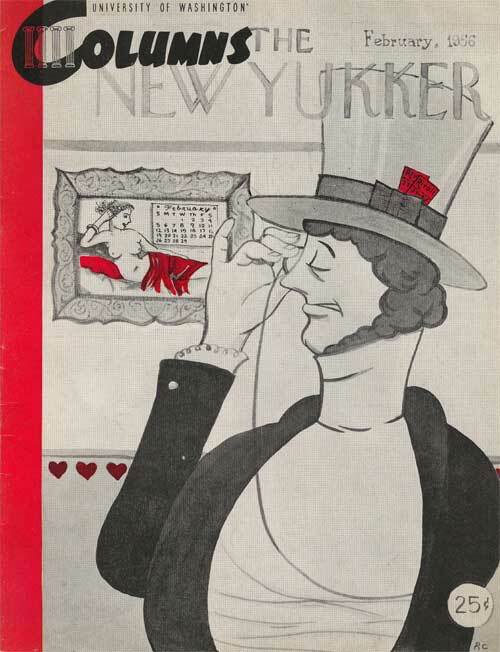 Sixteen out of thirty-two pages devoted to lampooning The New Yorker. Produced by Columns, a University of Washington publication. Dated February, 1956. All 25 pages devoted to The New Yorker. Published by Humor Magazines, Inc.. Dated February, 1958. A sort of Mad Magazine – National Lampoon hybrid. Fifty pages. 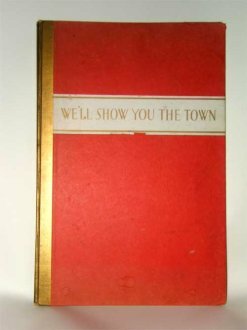 This volume, apparently a one-off, contains Talk of The Towns from June 2, 1928 through May 7, 1932 (chronologically, but not inclusively). 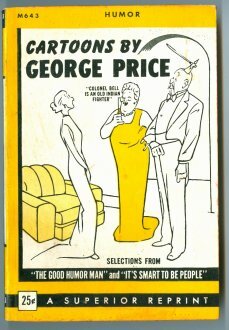 An entire year of New Yorker pony editions from 1945 in one bound volume. The pony editions were smaller versions of the magazine, six by nine inches, given free to servicemen and servicewomen. 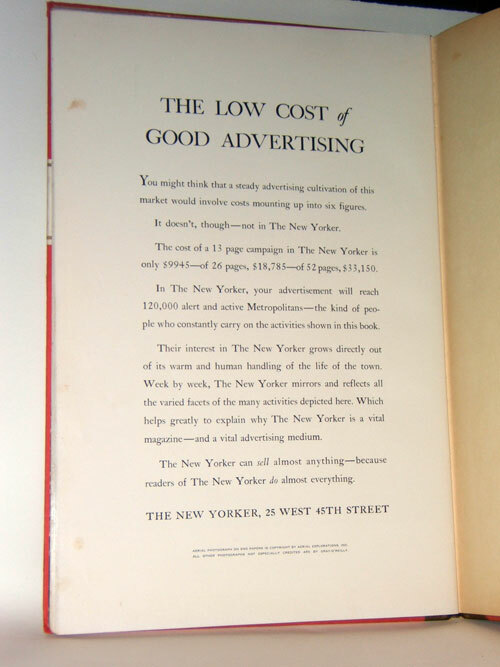 The pony editions were not exact duplicates of the regular editions of the magazine — they carried no advertising and editorial content was juggled. 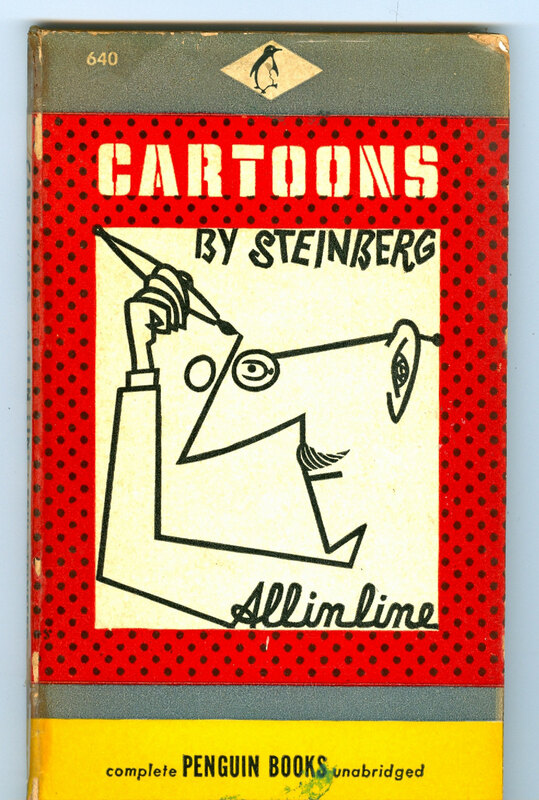 One striking difference: the back cover was a full page cartoon. 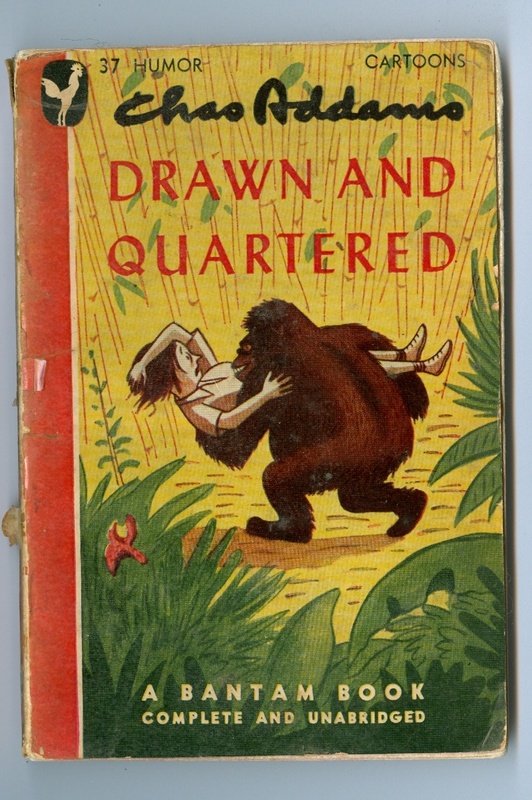 According to Thomas Kunkel in his Ross biography Genius In Disguise, these editions began appearing in September of 1943 and were discontinued shortly after the end of the war. 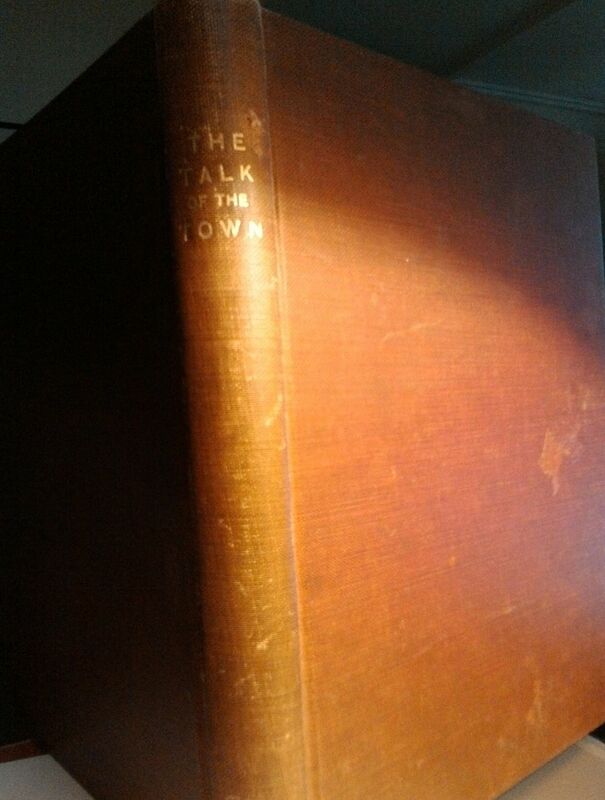 I’ve never seen another bound volume. Has anyone? These themed advertising samplers of New Yorker cartoons date from the late 1970s through early 1980s. The collection courtesy of Jack Ziegler. This oddity was rescued many years ago on the curb outside of the magazine’s old offices at 25 West 43rd St. Under the umbrella heading of “Opening of San Francisco Offices” various receptions and luncheons are pictured. The photo below, taken at the Fairmont Hotel in San Francisco, September 27th, 1955 shows Raoul Fleischmann (facing camera on left) mixing with various ad agency representatives. A nice promotional item for Lee Lorenz’s Art of The New Yorker, published in 1995. There are Helen Hokinson plates floating around, and Peter Arno ashtrays, among other things. Here’s a Charles Addams Mother’s Day plate from 1972 and a wonderful juice glass bearing a familiar Addams’ New Yorker drawing (that strange cloud-like image drifting in from the lower left is tissue paper that was protecting the plate). The glass is courtesy of Roz Chast. On February 13th, 1995 The New Yorker threw itself a party at Nell’s on West 14th Street. Partygoers found these swell 3 1/2″ cardboard cubes scattered throughout the restaurant. Inside the boxes were candles sitting inside of black metal cut-out candle holders. Pictured below: if my memory’s correct, throw pillows bearing various New Yorker covers were also scattered around Nell’s that evening. Luckily, I found this Maurice Sendak pillow before it was spoken for. 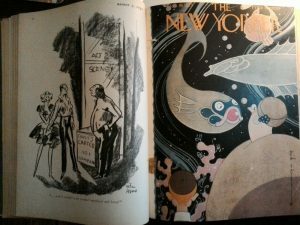 Contributing New Yorker cartoonists include Otto Soglow, C.E.M, Fred Lundy, Eric Ericson, and Mischa Richter ( whose work also appears on the cover). 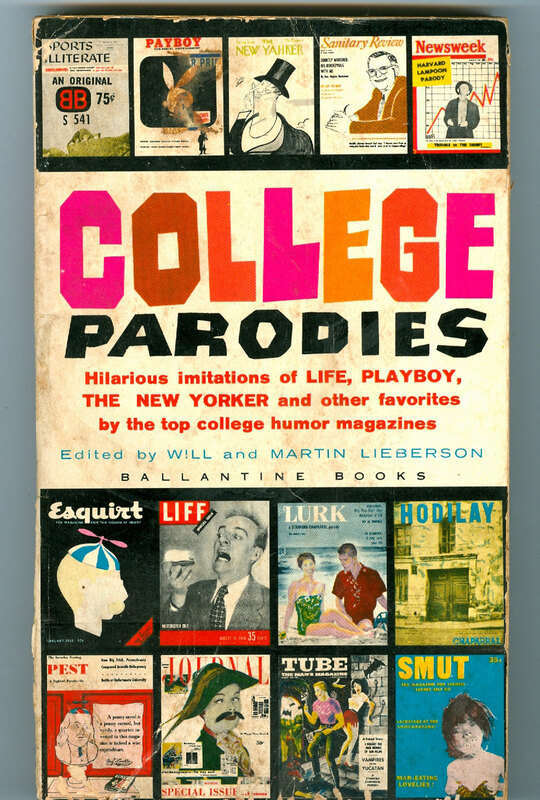 Will and Martin Lieberson collected “the Cream Of The Crop” of college magazine parodies in this original publication published by Ballantine books in 1961. 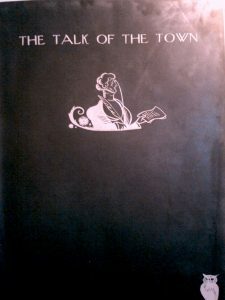 The New Yorker section includes material from The Michigan Gargoyle, The Harvard Lampoon, and The Yale Record. 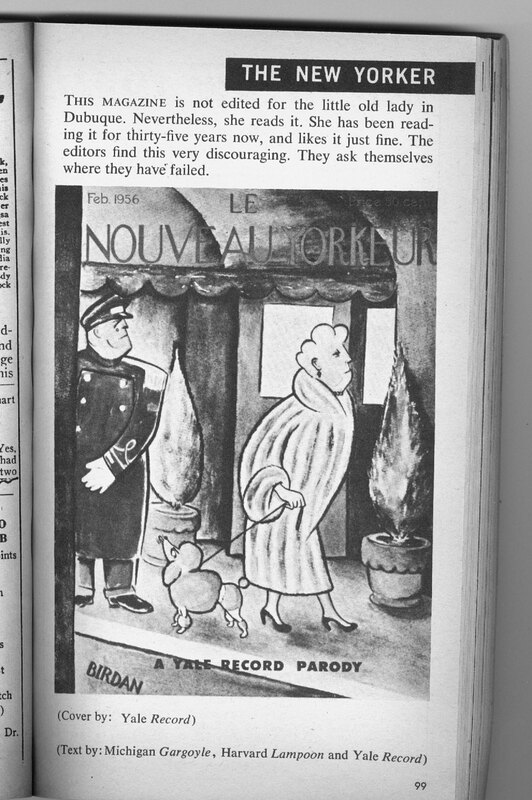 Pictured below is Le Nouveau Yorkeur from The Yale Record. Richard Taylor’s 1944 Random House hardcover collection in pocketbook form published by the Avon Book Company in 1947. An added bonus: The paperback cover is completely different — and far less tame — than the Random House cover. 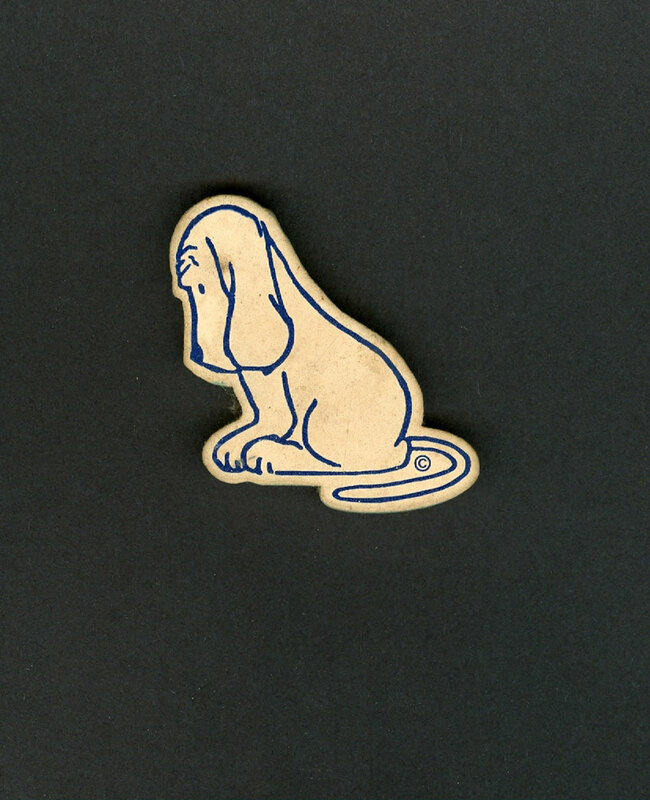 This 2″ high Thurber dog eraser is one of my favorite objects. I’ve no idea if these are still sold. Danny Shanahan picked it up for me on a visit to The Thurber House in Columbus, Ohio nearly a decade ago. 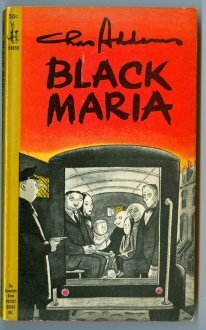 Originally published by Simon & Schuster in 1960, this Pocket Book edition was released in October of 1964. Originally published by Murray Hill Books in 1944, this editon, published by The Military Servive Publishing company came out a year later. 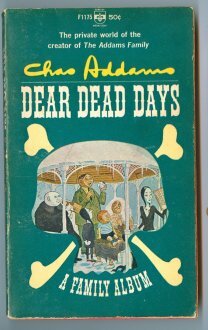 Originally published by Farrar & Rinehart in 1943, this paperback edition by Berkley Books came out in 1955. 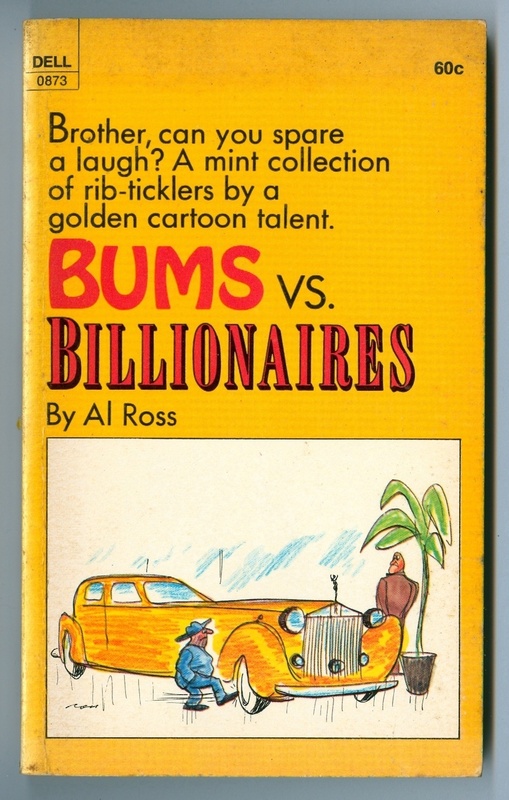 This Dell pocket book by the great Al Ross was published in 1972. 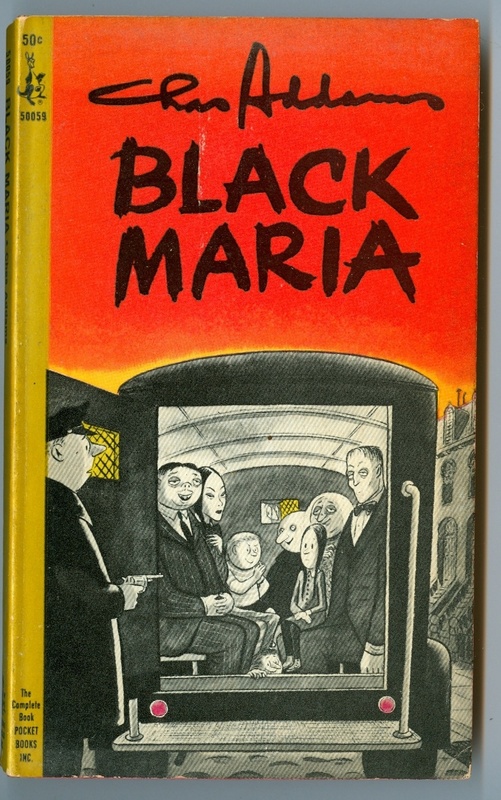 Originally published in 1959 by G.P. 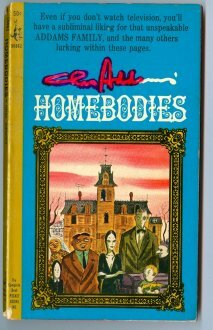 Putnam , this is the pocket book edition of perhaps the oddest Addams book. 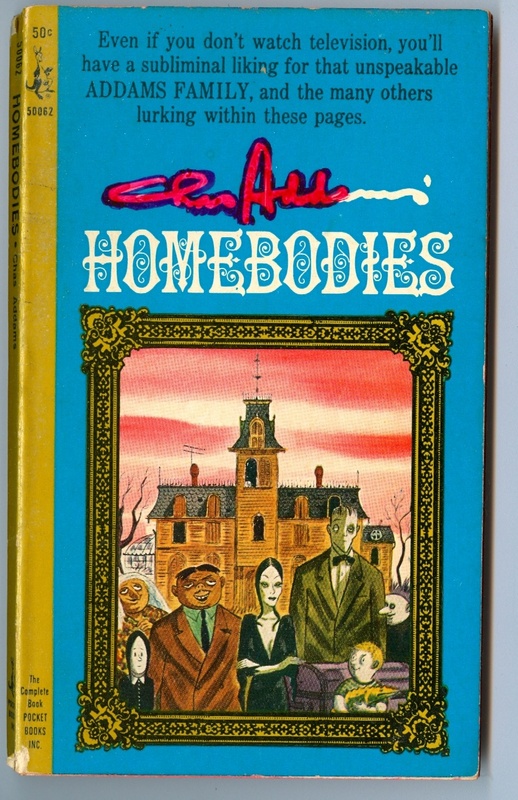 This edition was released by Berkley Publishing Corp. in 1966. 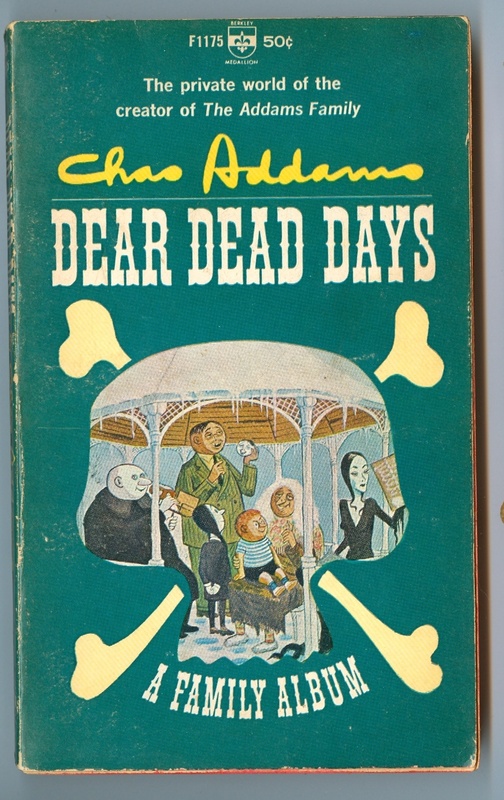 Published in June of 1946 this is the Bantam Book pocket edition of a popular Addams title. Foreward by Boris Karloff. 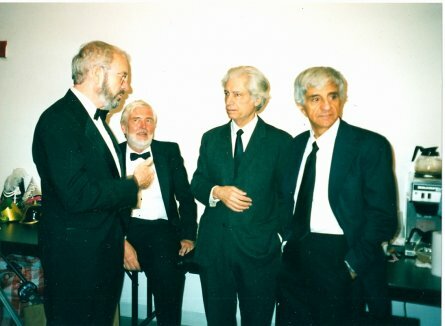 As promised: a few casual photographs taken the day of the Arnold Newman photo shoot. Pictured above, a number of cartoonists about to leave Pier 59 after a morning of posing. From left to right: Arnie Levin, Jack Ziegler, Roz Chast, J.B.Handelsman, George Booth, Robert Mankoff, Donald Reilly and Frank Modell. All photographs from this series by Liza Donnelly. 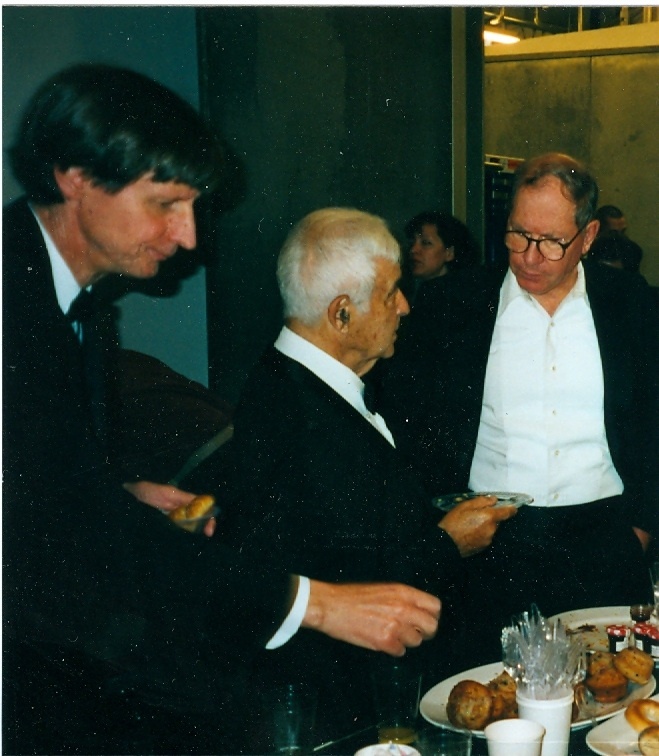 Left to right in the foreground: Al Ross and Frank Modell. 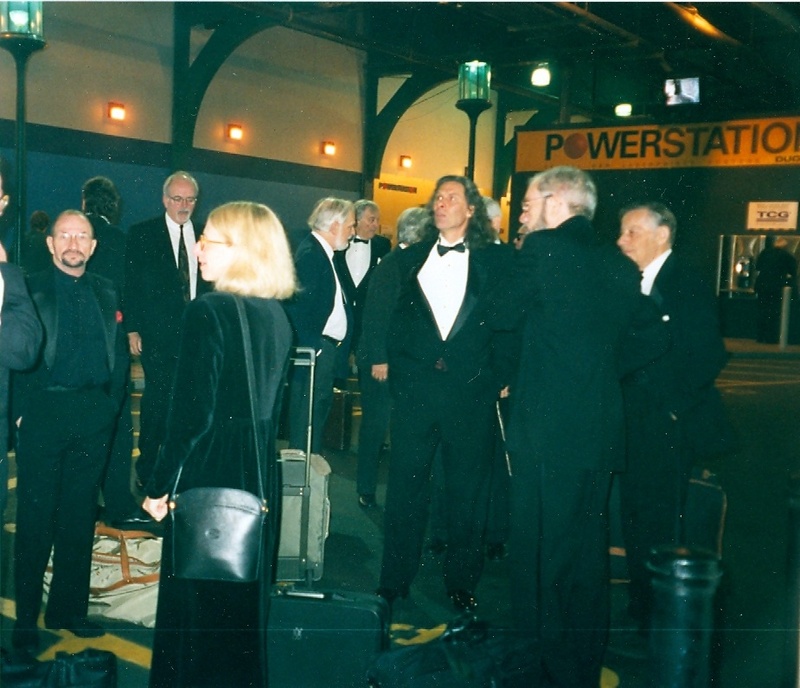 Directly behind Frank is Ed Fisher, then John O’Brien, and facing away from the camera is Mike Twohy. Mike Twohy reaching for a muffin; Mischa Richter, and Lee Lorenz.